-Measured objectives from the breakout above the 2011 high range from 1.1680 to 1.1910. The Jul 2009 high rests in this zone at 1.1724 and the 2007 high is near the top of the zone at 1.1875. -The rate has responded to support (1.0990). This is a good place for the larger rally to resume although Tuesday’s outside day warns that the drop isn’t complete. -The market has entered an area that could produce the next important low. USD/CAD has shrugged off previous signs of a potential reversal as the pair continues to decline further. This suggests caution is needed when looking at trading the most recent Hammer candlestick pattern on the daily. Confirmation is needed from a successive up-day to suggest the formation is a more meaningful indication of a turnaround for the Loonie. Important support for the pair lies close by at the psychologically significant 1.0900 handle. Prices remain locked in a choppy range below resistance at 1.1155, the 23.6% Fibonacci expansion. A break higher on a daily closing basis exposes recent swing highs in the 1.1194-1.1223 area, followed by the 38.2% level at 1.1307. Near-term support is in the 1.1053-61 region, defined by the February 25 low and the 14.6% Fib. A reversal beneath this barrier exposes the February 19 low at 1.0909. A long position at current levels is premature absent a confirmation on a break above resistance. Meanwhile, a short trade looks unattractive from a risk/reward perspective with the pair sitting squarely at near-term support. We will opt to remain flat for the time being. As noted in yesterday’s candlesticks report; USD/CAD presented a range-trade setup following a test of the support level at 1.1050. With the range-top at 1.1160 acting to cap the pair’s advance, a bearish reversal signal on the four hour chart would open a new selling opportunity. The potential for an intraday bounce for USD/CAD was signaled by the Bullish Engulfing candlestick pattern pictured in the four hour chart below. The formation was made more noteworthy by its appearance near the 61.8% Fib Retracement level. With the bulls seemingly running out of steam, a bearish reversal candle would be taken as a new opportunity to enter short in order to keep playing the range. Trend line analysis can usually be done in a straightforward yet powerful manner. However, on occasion, there arises the potential for interesting combinations, and today's trade is one such example. As seen on the daily chart below of CADJPY, the original downtrend was broken at the end of March. As the rising channel shows, the expectation was that an uptrend could have developed. However, the latest break of the rising support line suggests either that the downtrend could be resuming, or that a larger consolidation area is developing. Regardless of whether it is starting a downtrend or simply a consolidation, price is expected to at least test the underside of the trend line before confirming that the uptrend has truly ended. Thus, the most immediate trade is to the long side. If the break turns out to be false, then there could well be a journey of 250 pips or more to retest the highs. If it proves true, however, there would be more than 60 pips before price tests the trend line again. The four-hour chart below offers a slightly different perspective on this trade, as it sketches out a sideways consolidation. 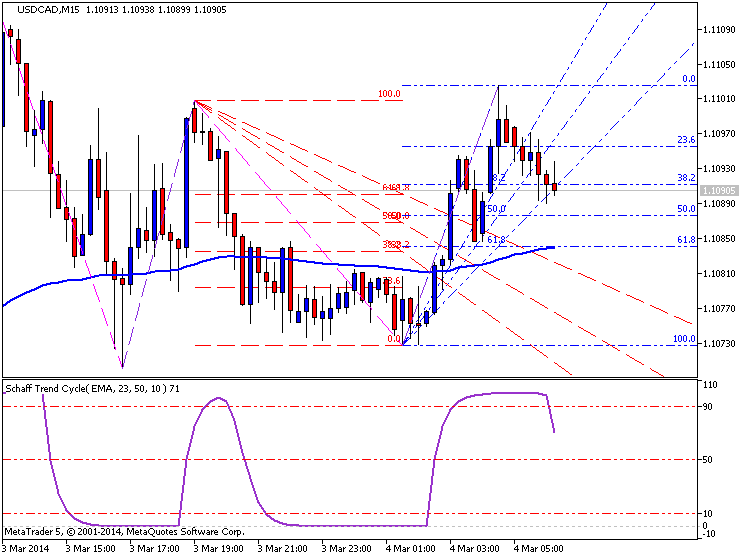 The depth of this range is approximately 90 pips, which leaves plenty of room for long trades to unfold. The chosen support zone is defined as 92.10-92.37, and it is actually an interesting study in itself. The higher value is the approximate area of the recent lows. However, the best trade would actually occur if price dips slightly lower than the recent low, creating "head-fake" scenario. By textbook theory, this would cause the bears to begin selling on the breakout. Should price then turn back up, the momentum generated by sellers hastily covering their positions should help springboard price back up to (perhaps quickly) test the top of the range. The hourly chart below is notable for how featureless it is in relation to the other patterns. Besides a potential declining channel, there is little to be said for this decline. This is worth noting, as it means that many of the recent swings have overlapped with one another. Even though the general movement has been mildly bearish, it essentially shows a market that could develop into a trend rather suddenly. Of course, it is hoped that this trend will be in the upward direction, but it could also be to the downside. As there is no way of telling until history is created, the best response is to trade the long side on signs such as bullish reversal divergence, bullish engulfing patterns, and/or pin bars on the short-term time frames. Risk is likely to be quite small for this trade given that the average candlestick is approximately only ten pips deep at this hourly level of magnification. This certainly helps to justify taking this trade, and also justifies taking two or three tries at the entry in order to successfully capitalize on a potential upside move. USD/CAD remains at a critical juncture near the 1.0810 mark as the pair threatens a break of its long-held range-bottom. However, at this stage a bullish reversal pattern remains absent, which casts doubt over the potential for a bounce. An examination of the four hour chart similarly reveals a notable absence of bullish signals, despite the pair pushing on noteworthy support at 108.15. USD/CAD’s break above 1.0700 has yielded a somewhat asymmetric Morning Star formation on the daily, which suggests the potential for a continued recovery for the pair. Buyers are likely targeting the 1.0810 mark.However,a daily close back below 1.0700 would suggest a false breakout and negate a bullish technical bias. A glance at the four hour chart reveals a Dark Cloud Cover pattern forming in intraday trade. However, the second candle has yet to close and receive confirmation from a successive down-period, before the bearish signal is confirmed. USD/CAD has mounted another assault on the 1.0900 handle, which follows the emergence of a Hammer formation. A daily close above the psychologically-significant handle could prompt a run on the recent highs near 1.0980. 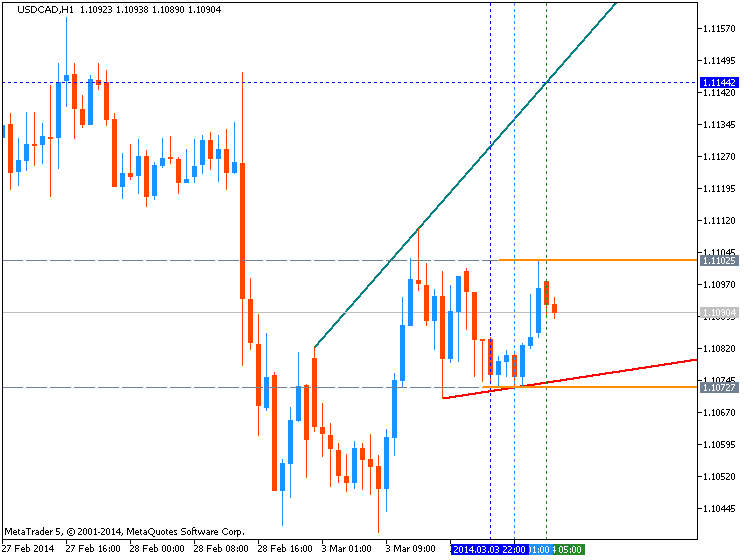 A Bullish Engulfing formation offered an early indication of an imminent bounce for USDCAD. The key reversal pattern leaves the spotlight on intraday resistance at the 1.0900 ceiling. The USD/CAD bulls appear to have lost their grip on the pair after struggling to hang onto the 1.1200 mark. The recent pullback has left a Bearish Engulfing formation in its path, which awaits confirmation from a successive down-day. Validation would warn of a deeper setback towards the psychologically-significant 1.1100 handle. The four hour chart reveals some intraday buying interest at the 1.1160 mark, which has prompted the emergence of a Harami formation. However, the bullish reversal signal lacks confirmation at this stage – casting doubt on a potential recovery over the session ahead.